So, this is where you stay with an extremely cold weather! Overwintering waterfowl had a hard time this winter. First, it seemed like there wasn’t going to be a winter at all. Then we had three weeks of -20 degree temperatures and the lack of snow meant, everything froze very quickly. 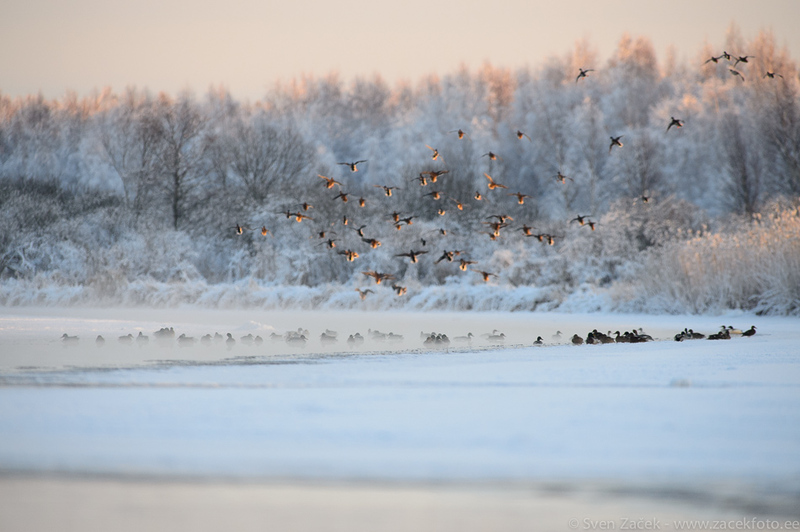 So all the overwintering birds were pushed together into the last patches of open water. Photo info - Winter: : Nikon D4 + Nikkor 300mm F2,8 VRII + Nikkor TC-20EIII. F5,6, 1/1250, ISO 1600.